If you are searching for a replacement grill for your existing barbecue, you will already know the cheaper alternatives made with nickel or chrome plating, peel and rust when left out in the elements. Unlike their inferior counterparts, these stainless steel grills are built to last the test of time. All of our grills come with a 10 year guarantee. If anything breaks, just send it back and we’ll fix it for free. Which diameter is right for me? 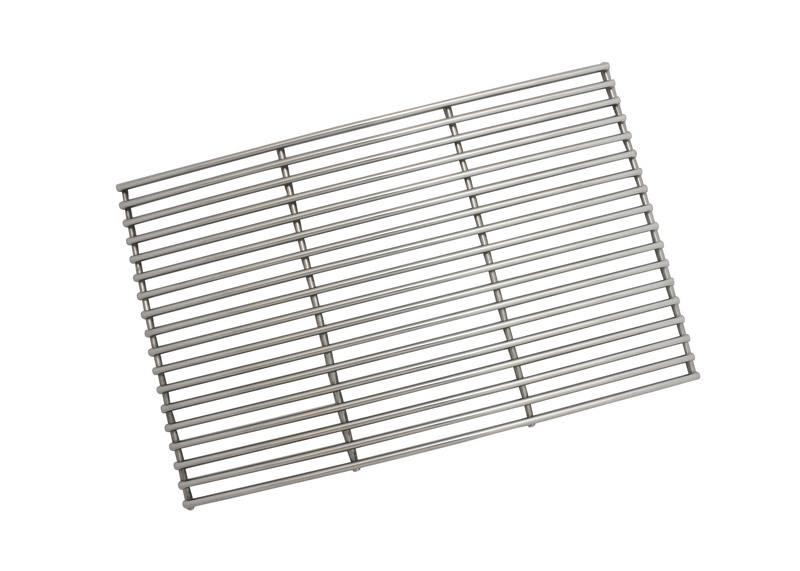 Most of our clients will require grills made from 3mm stainless steel bar. This is the standard diameter for almost all barbecue grills and will be more than enough for most keen barbecuers using charcoal. However if you are wanting to cook on wood you may need to think about purchasing a grill with a thicker bar. Wood burns at a higher temperature than charcoal and if a 3mm grill is subjected to extreme heat for prolonged periods it may warp, therefore you may want to consider 6mm or greater. If you are unsure please feel free to contact us to discuss your requirements. Please contact us with your measurements for an accurate price.